Have a theater lover at home? 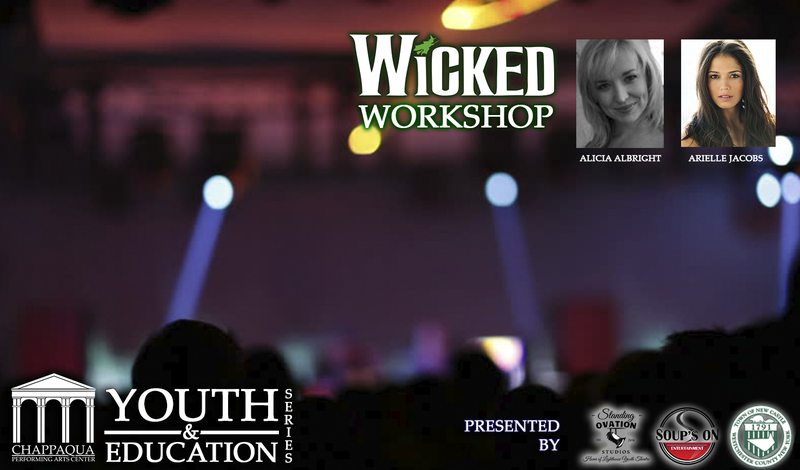 Then you’ve got to check out the awesome Wicked Workshop where kids ages 7-18 will have the cool opportunity to join two former cast members of Wicked! Held at the Chappaqua Performing Arts Center, the workshop will allow your kids to work with Arielle Jacobs whose Broadway credits include; Jasmine in Aladdin (current), Wicked, In the Heights and Rent and Alicia Albright whose Broadway credits include dance captain in Frozen (current) and Dance Captain in Wicked, as well as national tours of All Shook Up and Seven Brides for Seven Brothers. Participants will learn a portion of a Wicked song and dance combo from Broadway cast members and two professional music directors. The session also culminates with the students performing on stage for parents and friends and a Q&A session with the actors about their experience to educate and inspire the next generation of performers and theatre lovers.